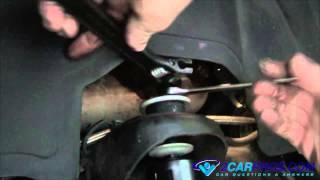 Step by step guide on how to identify general automotive suspension and drivetrain popping noises, this information pertains to most vehicles. 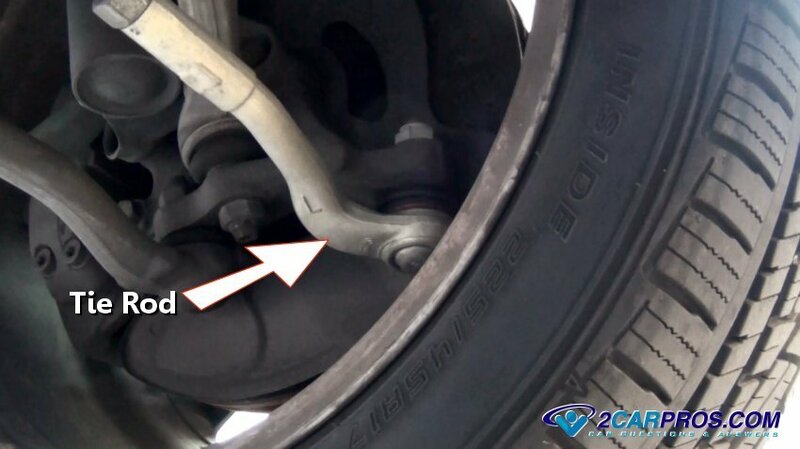 Step 1 - A strut or shock is designed to dampen unwanted vehicle motion, if these components wear they will become loose or leak which can create popping, banging and rattling noises. Step 2 - A sway bar or bars, (some cars have front and rear sway bars) are designed to prevent the car from rolling (leaning) when cornering. 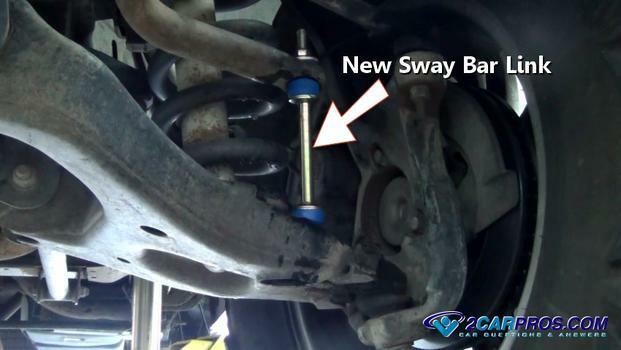 These sway bars are mounted to the frame and connected to the suspension arms using connecting links. 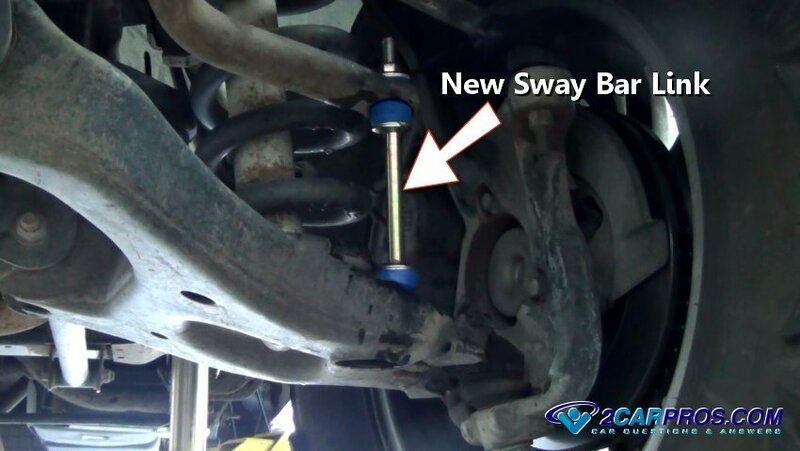 If a sway bar mount or the connecting links become worn or loose it can generate a banging, popping or rattling sound. To check for this condition check the mounting bolts and bushings, re-tighten or replace as needed. 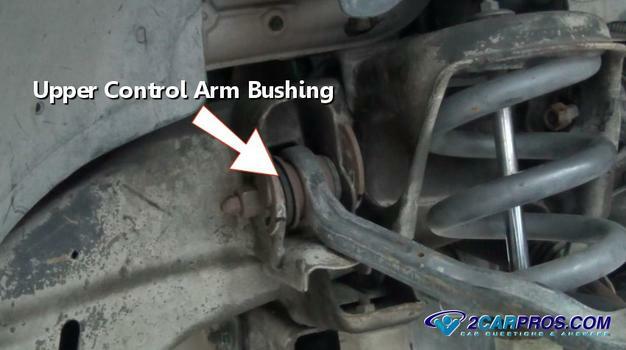 Step 5 - Control arm bushings are designed to allow the suspension arms to pivot near the frame mounts. These bushings are constructed of two metal collars, one large and one small with rubber molded inside, the larger collar holding the smaller collar inside. Time and usage cause the rubber inside the bushings to deteriorate allowing the suspension arm to rattle or make popping noises. 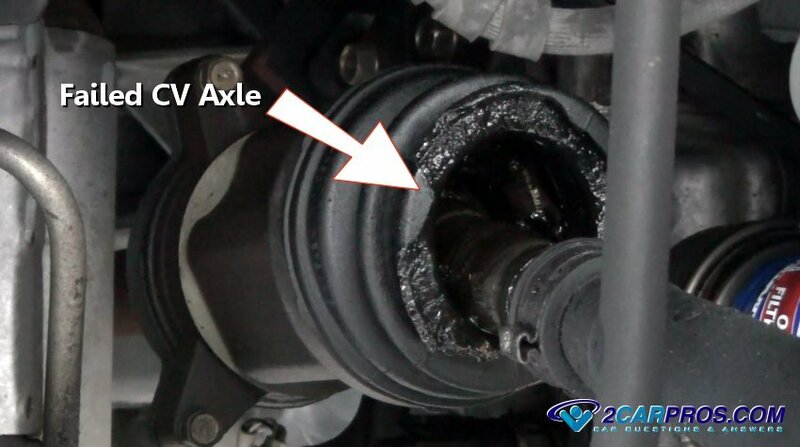 To check for this condition use a flashlight to view the upper and lower control arm bushings. If any rubber is missing or pushed out of the side, they must be replaced. Control arm bushings are sometimes serviced by replacing the complete suspension arm. Step 6 - A rim and tire is designed to hold extreme pressures of normal vehicle usage. If the rim has developed a crack or if the lug nuts that hold the rim to the wheel hub are loose it could create a popping, rattling or clicking noise. To check for this condition remove the wheel cover (if equipped) and inspect the rim for cracks and check the tightness of the rim lug nuts, if a crack is observed replace the rim immediately and tighten all lug nuts to manufacturer's specification. Step 7 - A ball joint is used as the universal joint that allows the movement needed in a suspension system. This joint is constructed of a metal base in which the ball rides inside of. Both parts are made of metal and require grease to work freely. These joints are under extreme pressure and can cause suspension noises when they are worn out or need lubrication. Step 8 - Rubber bushings separate the frame from the car body, these bushings are constructed as rubber donuts with a metal retainer on one side and are held in place by a bolt. Some vehicles are constructed with a "full frame" which means the frame runs full length. 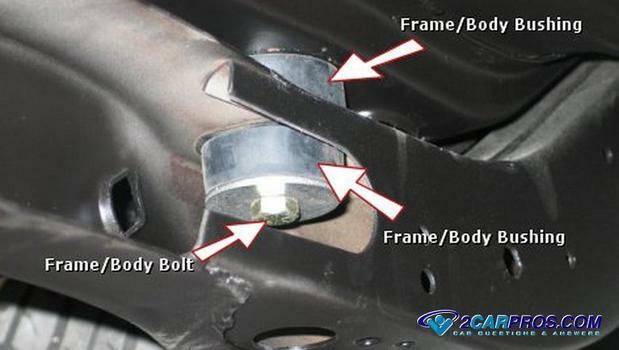 Other designs include front or rear frame members, this style of framework is called a uni-body. 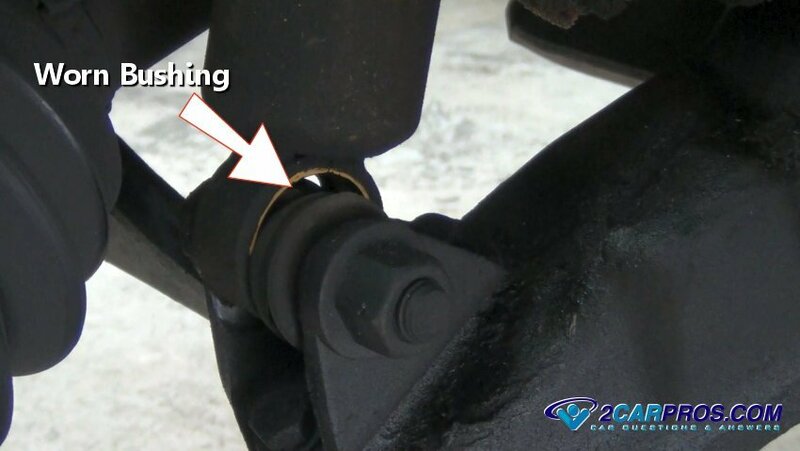 If a frame bushing becomes loose or has become dilapidated it can cause a popping noise when exiting or entering a driveway or any condition that twists the car in an unusual way. The popping noise is generated when the body to forced away from the frame. 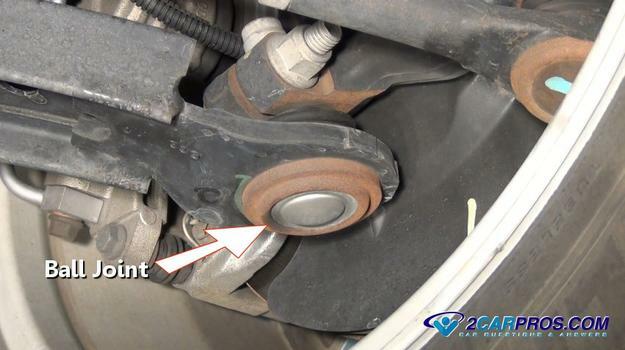 To inspect for this condition inspect all body to frame bushings, check for rubber that has separated or is missing, if a rust colored powered exists around the bushing, this is evident of excess movement the bushing. A popping noise it created when a component has failed or is failing, there is no "normal" popping noise. Some popping noises can be created when driving down a bumpy road or at a particular speed, either when the car is moving, or standing still, depending on the component that is generating the noise.